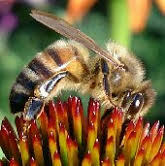 PCBA is a 501 (c)(3) nonprofit organization committed to helping honey bees through education and by supporting research. 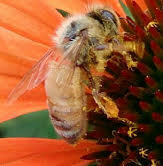 Recent declines of honey bees due to Colony Collapse Disorder, or CCD, have inspired a lot people to become beekeepers. You don’t have to be a beekeeper to help honey bees and native pollinators. There are many things you can do: plant a bee garden, limit the use of pesticides in your yard, plant flowers as sources of nectar and pollen, or simply let some weeds grow. Visit a Pierce County Farmers Market to buy honey from a local beekeeper. Lastly, consider making a tax deductible contribution to PCBA.